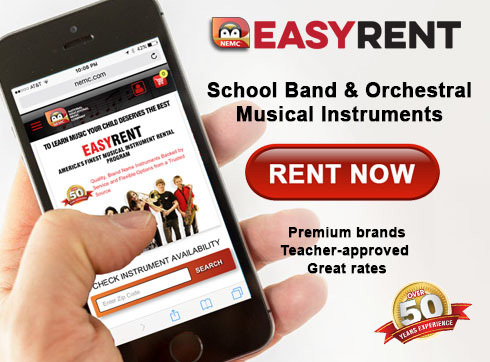 We are pleased to offer our school band and orchestral instrument rental program powered by NEMC, a national company with 50+ years of experience in musical instrument rentals. Through this program, we are able to provide the benefit of personalized service located right in our community, and access to the largest inventory of teacher-approved, high-quality musical instruments in new or like-new condition such as: trumpets, clarinets, flutes, trombones, saxophones, violins, violas, cellos, percussion and many more. We also carry a deep inventory of accessories for your band instruments, at prices that will not be beat locally. Come visit our new, larger, downtown Kernersville location and see why we are the best in town, all around!